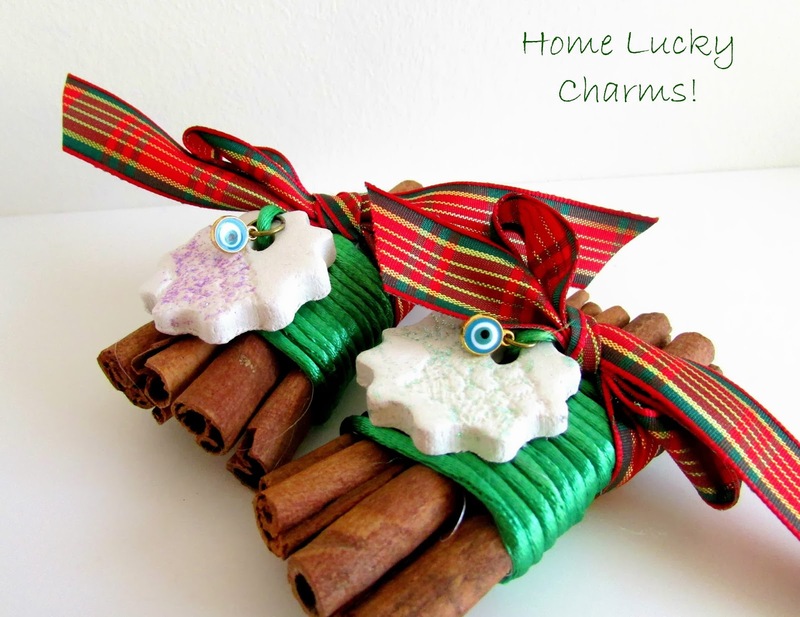 DIY Home Lucky Charms with Cinnamon!!!! A few days left for the New Year to come and this is the perfect time to create handmade Lucky Charms for your Home or for small, cute gifts to your friends! There are many ways to create them , just use your imagination… but I will represent you how I did them. The ornament I created is with air dry clay, as it is described in the wonderful tutorial from Christina. The rest of them are really easy…. 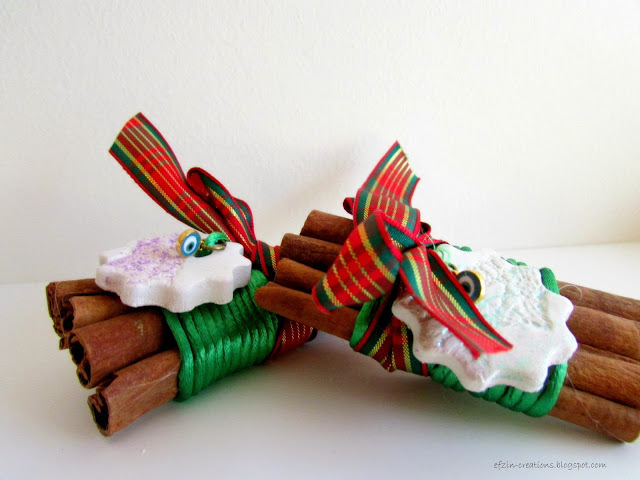 Use the Hot Glue and stick together the Cinnamon Sticks. Use the first ribbon ( I used the monochrome one) to tie better the sticks. In order to have your ribbon stable you can use more glue. 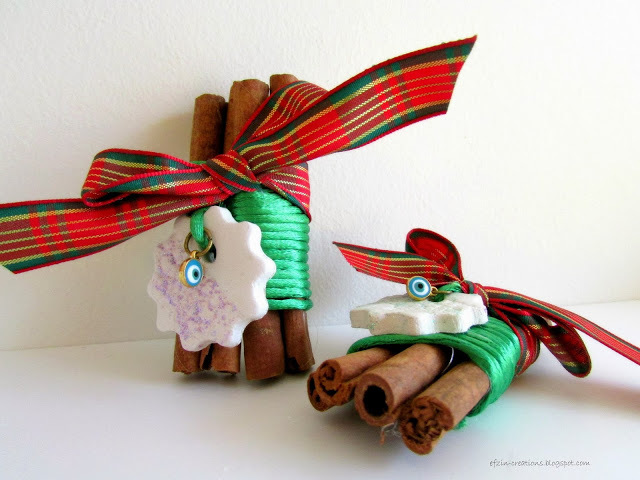 Create with your second ribbon a bow and connect on it the ornament. Last but not least, use your connector ring to add the tiny evil eye charm on your creation! Your Lucky and Protection Charm for your home is ready!!!! 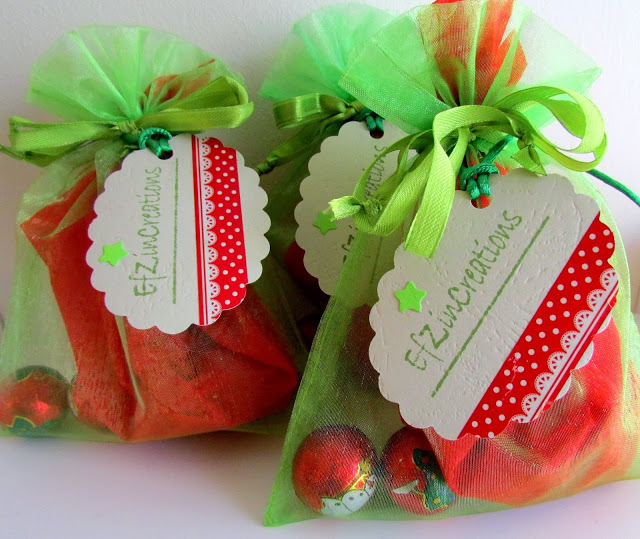 And if you wish to offer it as a gift to your friends….just use a wonderful way to pack them and they will love it! I'll have to find some time to make some! So beautiful idea! I will have it in mind for next year's gifts! Thank you for your comment Elena!